The BioTillion Single Vial Reader reads a single RFID tagged sample vial. 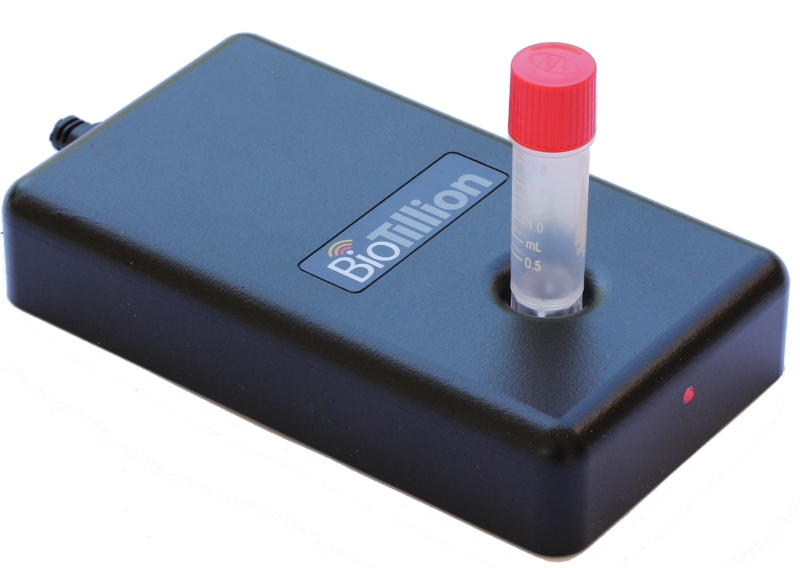 It is typically used for accessioning samples but can also be used when samples are not stored in one of the standard box formats supported by the BioTillion BoxMappers. The RFID data is read instantaneously, so thawing is minimized and sample integrity is maintained. RFID data can be read through frost and ice. The RFID data can be be seamlessly imported into any compatible LIMS software package. A stand alone, LIMS independent, application is also available that can export the RFID data in formats for use by text editors and spreadsheet applications. Support is also available for keyboard emulation that is useful for entering text directly into spreadsheets and word processors.